The Bicycle Advocacy Group today, Thursday 18th of October 2018, held a meeting with Hon. Dr. Aaron Farrugia MP at Auberge d’Aragon, Valletta. 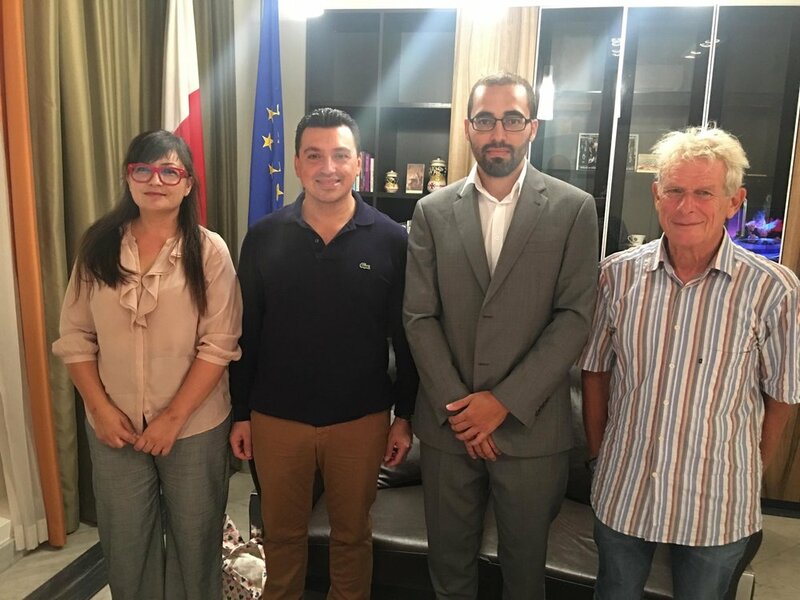 During the meeting BAG presented a position document regarding the links between transport and poverty, including suggestions on how the use of the bicycle can empower the more vulnerable members of the Maltese community who are at risk of poverty. Hon. Farrugia also made a number of suggestions of how BAG can tap into EU funds to work towards this cause and address other needs within the NGO's remit. It was a very promising meeting and BAG augurs that this will be the start of further collaboration with Dr. Farrugia. Car-oriented measures will keep us stuck going round in circles.